You’ve decided to change careers. Congratulations on making a difficult decision and on taking the initiative to explore new possibilities. Take an assessment. 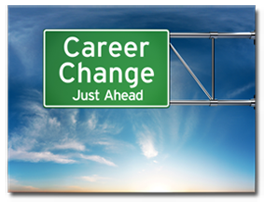 When considering a change of career it may be difficult to know where to begin. An assessment that takes into account your skills and interests can be very valuable in identifying areas or careers that you may not have considered. Explore an online interest inventory such as O*NET. Talk to a career advisor. A career advisor’s primary responsibility is to assist in developing a plan of action when it comes to approaching your job search. A career advisor can provide information regarding areas of growth or contraction, assist with adjusting your resume to make it more impactful and help identify skills that would be valuable in your new career path. Network. Did you know that more than 75% of positions are obtained by knowing the right person? If you already know the occupation or industry you are interested in, attend events where people from that occupation or industry congregate. 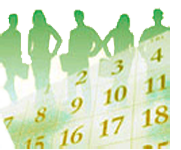 Conduct information interviews with people in the new industry. Ask specific questions of people that have the experience to give you the answers you need. Keep your profile updated on LinkedIn.com. LinkedIn is the world's largest professional network with 225 million members in over 200 countries and territories around the globe. A great tool, but only if you use it in a way that promotes your professional image. Here are some tips to improve your profile. Minimize the amount of space you devote to your previous career on your Pure Michigan Talent Connect profile and its attached resume. Focus on the transferrable skills you have.